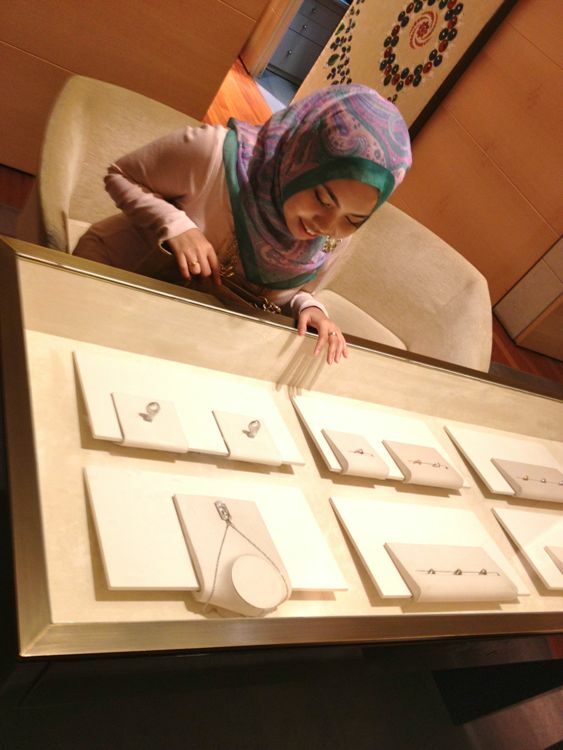 Last week we went to browse for our wedding rings in KLCC. 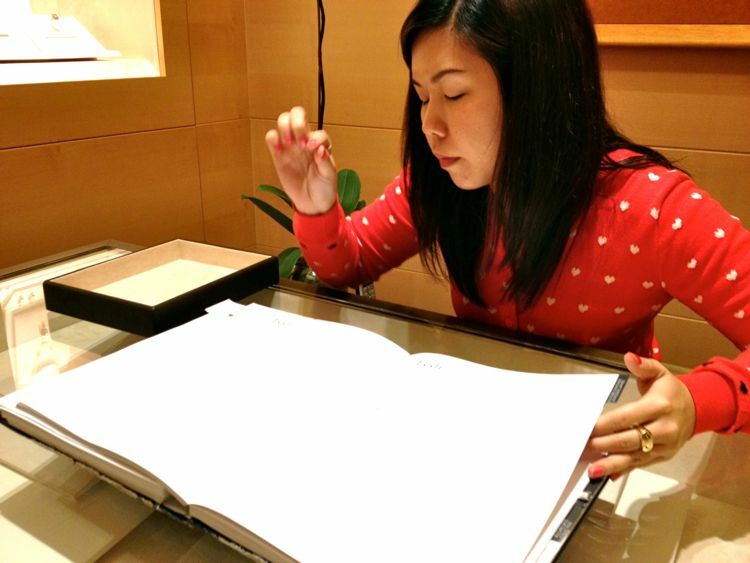 We went to a few jewelry stores, learning about some diamonds and golds stuff.. By the time we were in the third store, my fiancé's already got bored hearing me asking about the color, clarity, cut, etc to the jeweler... When asked about the design, he would reply, "they all looked the same to me my dear. Just pick any one you like, so I can pay and we can go home fast.."
So with an excited tone I said, "Really? Anyyyyyyyy one??! Are you sure?" "Yeah. But within my budget la, of course. You already told me the normal price range for rings right. So I have given you the freedom to choose. So go ahead and make it fast. I feel so sleepy alreadyyy.."
So to make him less bored or should I say sleepy, I said to him, "Ok lah ok lah, come let's go see your ring pulak. At least...you won't be as bored"
With a blur face he replied, "Huh? I need a ring?" "What? You mean you don't want a ring or...you don't know that men do wear rings too, on their wedding day???? Oh my God, please don't tell me that you don't know!?! Goddddd...not again! Another "lesson" to tell you ke nih...adoi. Kelakar lah dia niiiiii. What did you learn in school laaaa? Ishh. So what did you do when your brother or your friends got married last time? You were there right, to witness it?? Tak kan tak perasan the exchanging rings part langsung????" "Oh. Ada eh? Tak perasan la! hahahah. Well I'm not like you, miss. Noticing every single damn thing in front of you. Even in TV also you nampak aje benda-benda mengarut. I'm a guy. I don't care all those things. haha. I mean, I thought all these nikah ring, tunang ring, merisik ring, promise ring, onion ring, etc etc...are all for the girl's side je? I thought we guys are supposed to be very simple and cool and practical? No rings no gelang no rantai no keychain no whatever stuff that are on your 100-page list tu...? Even my dad didn't wear any ring pun? Kena pakai ke? I mean is it required in our religion?" "My dad also didn't wear any ring. 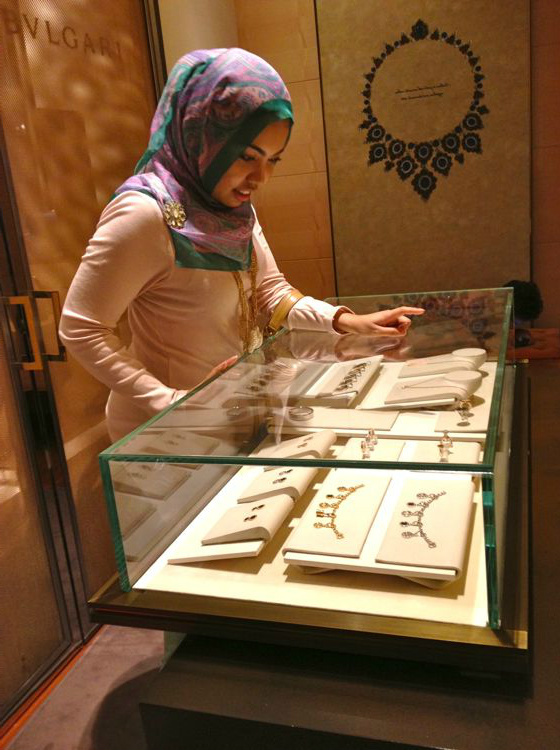 It's not a compulsory thing la...but our Rasullullah pakai cincin jugak apa. I mean, bukan lah "kena pakai". But oh well... These days the men do wear it also la.. We exchange it, as a symbol of marriage. Oh God...how come you didn't know all these?! I thought your friend ada yang dah kawen and you did attend their wedding?? Funny lah you ni! Mesti memang tak pernah je nak focus when it comes to weddings, romantic stuff kannn? Ishhh you niiiii. Sabar je lah. Nak emo lah macam ni.. I can see that you will forget our anniversary, my birthday, our kids' birthdays and so on... "
"Alaa...gimme a break la. I'm not like you. I don't watch romantic movies. I'm a guy. I watch funny stuff. So I don't know much about weddings, but it doesn't mean I don't love you. At least you know that I have never been married to anyone before, right? Heheheh. Your birthday, anniversaries semua-semua tu lain laaaa. That one I know I would remember them, cuz by that time..we'd stay together and being you, you would conteng all my diaries and calendar to remind me each year. hahahahah. Anyways, all those things didn't really matter whether or not I'm aware of them...cuz for all I know is that I will try to give the best for you and give you whatever you say you want even if it does not make any sense to me. Just as long as you're happy. Ok?" "Pffft. Pandai la awak tu nak cover ayat bagi I cair. Huh. It doesn't work this time, ok? heheh. Wait, so.....do you still want a ring, honeyyy? Jimat duit I, if you don't want it! hehehehe"
"Up to you sayang. You wanna buy, you buy. You don't wanna buy also can. You know I'm fine with anyyyy thing right? I'm a simple guy, you know that. To me ring is just a ring, honey. It doesn't mean anything. The most important thing is the"Kad Nikah", now that's a valuable ANDDDD THE SYMBOL of our marriage. Heheheh. Lepas ni I can bring you anywhere I like, with that card! Now that's MORE valuable to me!! haha"
"That's a freaking DOCUMENT. Not a "symbol", genius! Pfffft." "Oh. Sorry. I'm a practical man. For me it's kinda like the same. hahaha. Anyway have you picked any ring that you like? You should go with your sister. She knows what to pick. You ni...banyak sangat benda nak. Susah sangat nak pilih. I can see that we will argue on our first couch when we want to purchase it. haha"
"No we won't. That's different. That's our couch. This is MY ring, ok? So of course laaa, I want it to be perfect! Like how I picked you! heheheheh"
The sales assistant explaining each design, cut, color, etc to us and how long to book the ring, etc..
"Oh God sayanggg. Please, no more pictures. Dah la I tengah busuk. No no. Stop it." Anyone knows when is the next Habib sale? Gotta check out their diamonds jugak later! Labels: Man VS Woman , Road to My Wedding! for the guy only silver boleh pakai oleh lelaki islam.. take note dear before menyesal tak sudah..
i think you just missed the habib sale last week. maybe another one will be held end of this year. hopefully sempat. :) gosh.. so funny lah the conversation between you two. rindu zaman plan wedding dulu. now i am married already. Duniawi je ni. Yang penting barakah. Elak pembaziran. Ada yang makan sekali sehari je. Just a reminder. 1.Yup please take note lelaki xbole pki suasa or emas. Cuma bole pki platinum or silver which susah giler nak carik yang cantik. 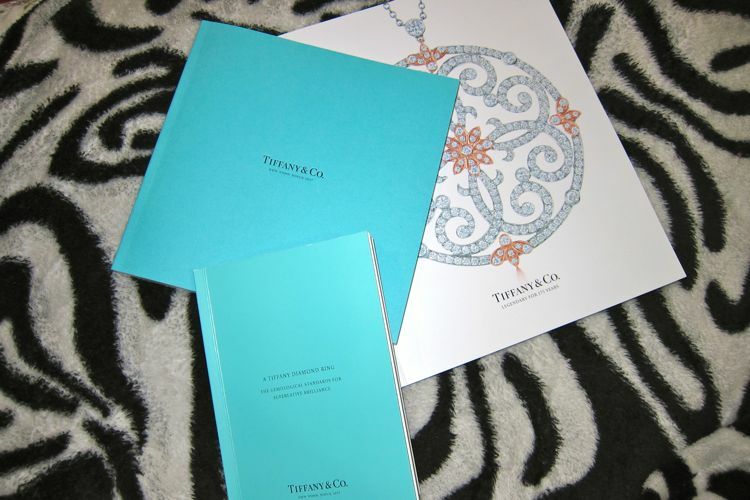 I think yang menarik ade kt tiffany or bvlgari je. 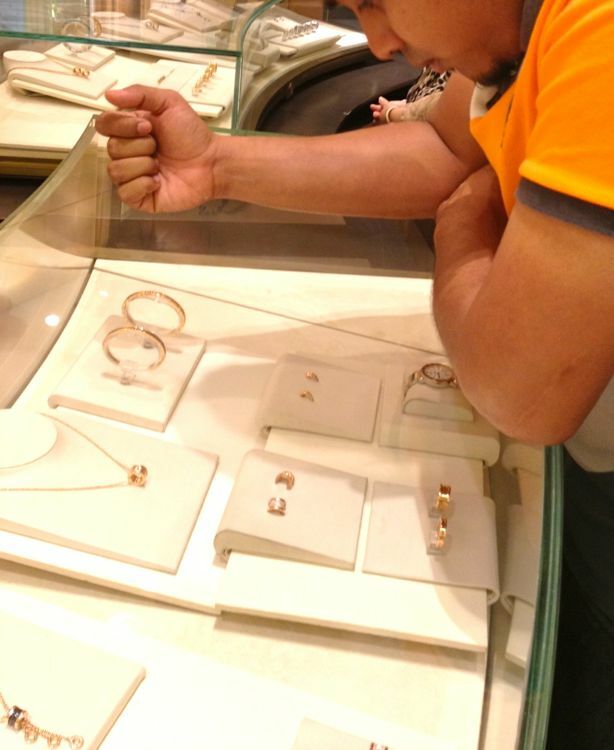 For my hushband, I bought him a limited silver collection (save the children) from bvlgari. Cume yang xbes diamond kecik2 Habib ni slalu jatuh. I pnye hilang a week after kawen so my SIL and ramai lg la. 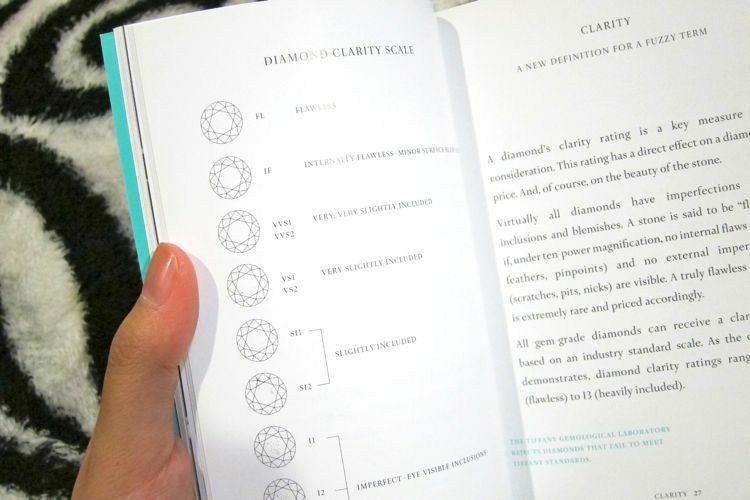 So my advice, kalo nak beli kt Habib xyah beli yang banyak diamond kecik. 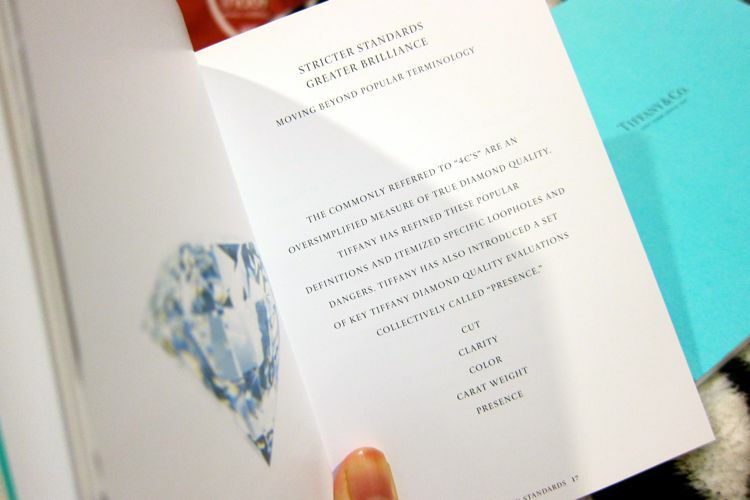 Bli yang diamond besar2 je. Hahaha.. the same things happen to me yesterday.. 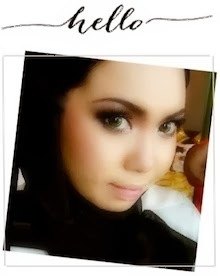 But, alhamdulillah.. My fiance are more eager compared to me! Weird rite? haha..
Habib ada sales my dear..you should go there! Habib mana yang ada SALE tu?? Conversation detail melarat sangat. Bosan baca. Tak terlintas langsung yang Wany nak riak ke apa. LANGSUNG!! I tumpang happy!! But still, kenapa ada yang terfikir sampai riak la pisang berbuah dua kali la.. zzzz.. Fikiran kelas ketiga. somehow i rasa tunang u ni cam so blah and so meh. semua benda dia tak tau, semua benda dia tak interested, semua benda dia malas nak amik port. apakah?? well, i cakap ni based on your own postings and convos with him anyway, which i assume is not made up and not sugar coated? but seriously dude, show some interest la, although your fiance could be a controlling freak, brand-conscious girl. and to wani, tak yah nak cair sangat la dengan 'kata2 manis' dia tu. ye ke u cair? ke sebenarnya u pun tension and bengang? sorry boring gila blog post. yes your blog i pun x read just come over to see what ppl were talking about. either your fiance is a sissy or you bring video tape to record his speech. seriously. p/s: x perlu la bersangka buruk ngn Wani...bersihkan sikit hati n akal dr pkir yg buruk2 psal org lain..
You can be a script writer of a lame lovestory. You better marry tht man fast before he runs for his life. He s marrying a delusional! laaaa...mungkin dia tak ingat 1 1 ayat, tapi isinya itulah. sama la jugak bila kita ditanya, contoh, apa boss kita cakap, apa lecturer kita bagitau, kita bagi isi kan?? kan?? itu pun nak jadi issue ke. first of all, a practical man doesn't speak like that. I believe your husband to be is a practical man, but you probably 'adding sugar' to your writing (referring to his conversation).. seriously, I know that coz I am married to a practical man myself! secondly, I would like to say all the best to your future husband! and this is serious. Thirdly, Congratulations to your husband, from your story, I think he understands very well the difference between a marriage and a wedding. I think he wants a marriage and you want .. (you know what)..
Good luck on your prep! Off course she will!!! He could even marry an elephant if the elephant has money for her to spend! Seriously??? U are such a fake and delusional. Agree with the other comments. poor wany, she just want to share her happiness. Please focus on your marriage, rather than wasting your precious time and money solely on your wedding day. Your engagement day pun banyak sangat benda yang tak perlu, dan banyak pembaziran dan kelihatan lebih kepada show off saja. It's good that your future husband is matured and practical enough not to think too complex and complicated as you. hello..... its her blog, sukati dia la nak over exposed or anything, did she ever forced you to read?? and plus, membazir is subjektif.. dia ada duit, so istilah mbazir tidak timbul... do u know, that it will be more barakah to pray for her happiness rather than to give ur not-so-2-cents-opinion here? hee nyampahnye... if u dont or cant have sumthing that someone else's had, please do not be insecured. i ni, bkn kwn wani, neither her fan, i baca skali skala sahaja, i pun xmampu nak ada lifestyle mcm ni, but i x kisah pun benda2 remeh mcm ni... whatever laa... nilai la niat sendiri sebelum komen... jgn kerana konon2 niat nak nasihat jadi dosa sbb riak. dosa sbb mnegutuk. dosa sbb hasad.. sekian. i doakan u bahagia dalam idup... ;) semoga u tabah..makin orang kutuk makin murah rezeki u..insyaallah..
"So of course laaa, I want it to be perfect! Like how I picked you! 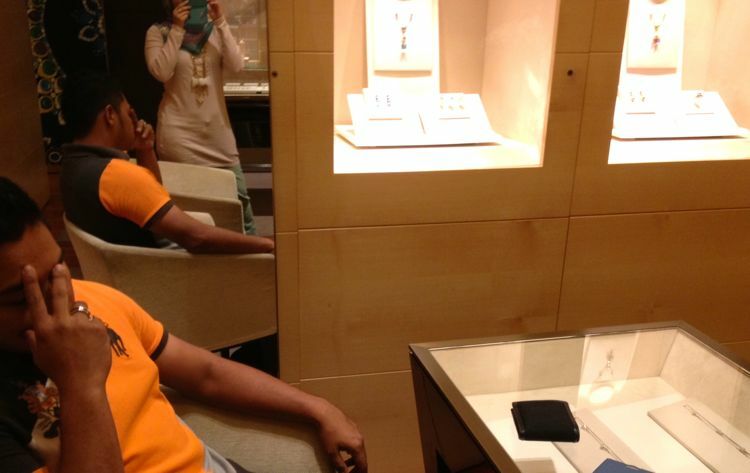 heheheheh"
babe..cincin jgn beli silver..hatta dr tiffany and co pon..sbb silver ni even sterling silver wont last for puluh2 tahun..second..ada yg kata habib punya diamond tak ikat kuat..i assume dia pakai emas kuning..emas kuning and diamond is a no2..tak kisah brand apa..sbb diamond kena ikat dgn emas putih/rose gold/others..if u want emas kuning also can but u should buy as lower carat as possible(for gold)..lower carat means got lots of other stuff then gold..but its also means its stronger..if the gold is 24k or 22k..its too soft to ikat the diamond..mcm if u buy at tiffany and co..the diamond carat kinda high but the gold karat is low around 18k only..kalau lelaki islam better pakai platinum/titanium..never go for silver even the highest grade silver cant last long enough..